Does the cartridge No.33 make photos true to colour? The Lexmark 33 cartridge is a light user tri-colour cartridge. It contains cyan, magenta and yellow and will produce the same quality photographs as the higher capacity cartridge, the Lexmark 35. If you're printing photos you might want to consider using the Lexmark No. 31 photo cartridge to optimise photo quality. This replaces the black cartridge in the printer and contains black, light cyan and light magenta. Working alongside the Lexmark 33 or 35, it can produce better quality photos as there is a wider selection of colours in the printer. Ideal for personal use, the Lexmark X3330 offers the versatility of a colour printer, scanner, and copier, all in one device. The machine can very easily be set up and offers excellent print speeds, even when using high resolution modes. 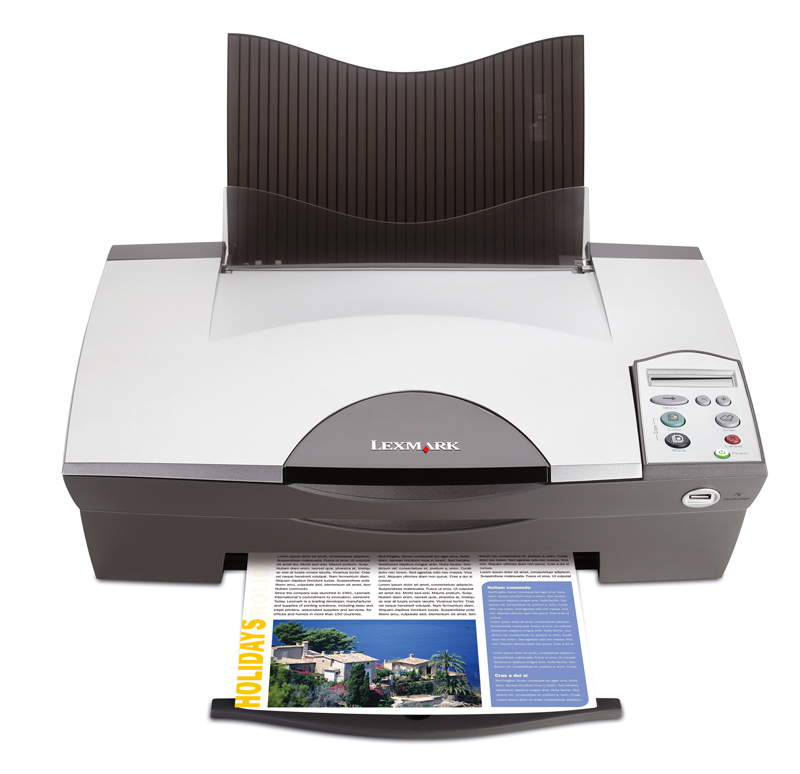 The Lexmark X3330 is an excellent all-around printer, scanner, and copier. However, it does not offer fax capabilities. The Lexmark X3330 is identical to the former X3310 model, featuring a rear input tray, flat bed scanner, and a simple control panel on the right side of the scanner lid. The machine measures about 6.7x17.4x12.6 inches (HxWxD) making it an ideal choice for those looking for a compact three-in-one. The Lexmark X3330 also offers USB connectivity, and features a PictBridge port for direct connection to compatible cameras. The major advantages of using the Lexmark X3330 printer, include its speed and quality. Prints come out at a rate of 15 ppm and 9 ppm for black and white and colour outputs, and copies are produced at about the same rate. The printer ink also lasts up to 200 pages (black) and up to 135 pages (colour), but this may also depend on the type of documents that are printed. The Lexmark X3330 also has some downsides, like its lack of other connectivity options, fax capabilities, and more efficient paper handling components, such as an automatic document feeder or an auto duplexer.